The PCF is proud to be supporting World Bedwetting Day. #WBD16 will take place this year on Tuesday 24th May, led by the International Children’s Continence Society and the European Society of Paediatric Urology, with support from Ferring Pharmaceuticals. The theme of this year’s World Bedwetting Day is ‘Time to Take Action’, as despite bedwetting – or nocturnal enuresis – being such a common condition, it is still hugely misunderstood and needs greater awareness. Studies have suggested that 15.5% of 7 year olds, 9.5% of 9 year olds and 1-2% of teenagers experience bedwetting. Of these, up to 50% do not seek help, often believing it is a psychological or behavioural issue when it is actually caused by issues with urine production, the inability to wake to urinate or reduced bladder capacity. Untreated bedwetting can have psychological and social consequences for children, damaging their self-esteem and emotional well-being, making it crucial to raise awareness of the causes of the condition and how it can be treated. Go to ERIC’s webpage on World Bedwetting Day for further information. 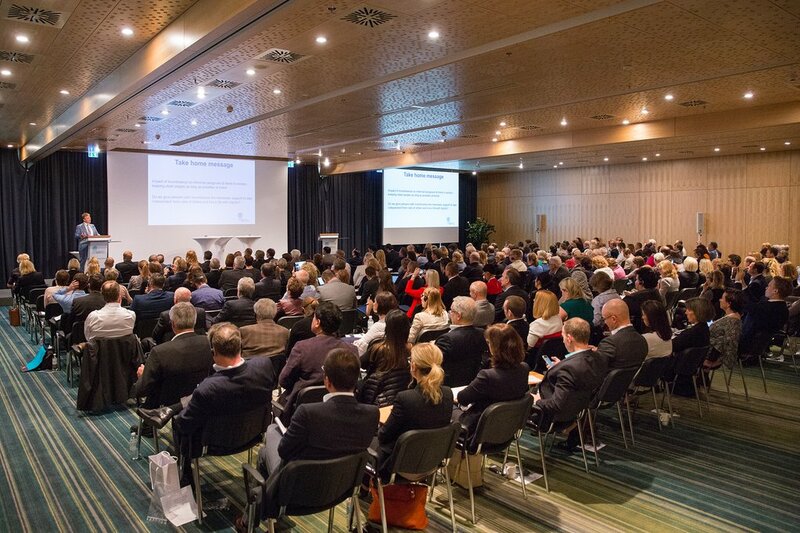 Over 305 delegates from 30 countries met in Berlin to share new research and thinking towards improving the quality of life for older people in all areas of their lives – health care, housing, transport, accessible shopping, entertainment and the effect of continence difficulties in all these contexts. There was an impressive range of speakers from Europe and beyond and panel discussions with experts and service users. Day 1 focussed upon incontinence and continence care and delegates were made aware of the huge risk of social frailty ( no friends or family close by, no support), the rising population of older people and the pressure on care services globally. We heard about many new initiatives – such as a national “senior alert” register in Sweden covering nutrition, falls prevention, pressure sores and incontinence – and were made aware of the importance of sharing standards and practice across country boundaries. Day 2 included breakout sessions by country and a focus upon putting together quality and outcome frameworks for the day-to-day management of incontinence. There were 15 invited delegates from the UK – and Penny (Dobson) was very pleased to be invited by SCA to represent the PCF. She was able to share with delegates the work of the PCF as a lobbying organisation and the service outcomes and outcome indicators within the PCF’s Commissioning Guide (and their measurement by ChiMat).